The Killarney Historic Stages Rally takes place on the weekend of Fri 30th November to Sat 1st December and is included as counting rounds of the Irish Tarmac Rally Championship, The Kingdom of Kerry Rally Championship and The Plasticbags Southern 4 Rally Championship. The Event is expected to attract over 150 crews from all over Ireland, the UK and indeed Europe. 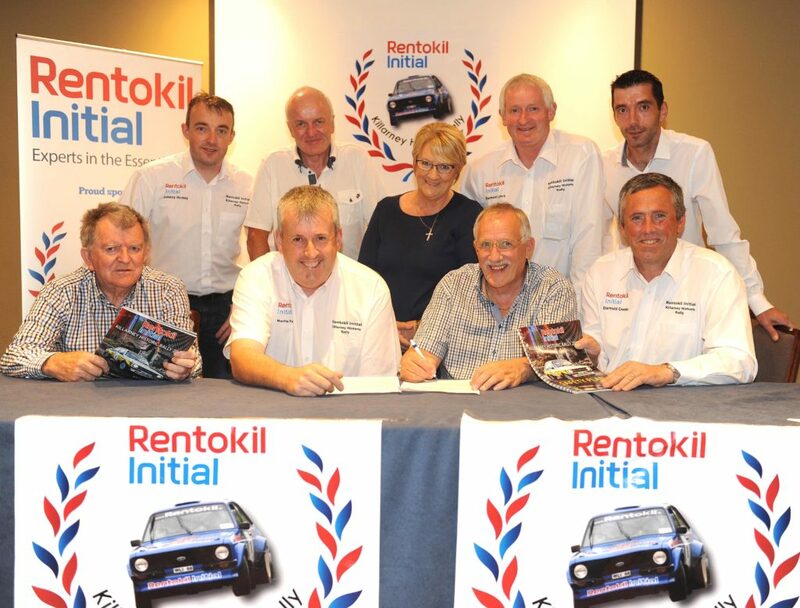 Rentokil Initial has been sponsoring the Killarney Historic Stages Rally since 2013 and this new deal will ensure the financial security of Ireland’s only event to cater solely for historic rally cars. Rentokil Initial are the world’s leading commercial Pest control and Hygiene service providers, employing over 36,000 people throughout 70 countries worldwide. The Irish company Managing Director Michael O’Mahoney has announced the renewal of its sponsorship of the Killarney Historic Stages Rally in a deal that will run for the next three years. Diarmuid Cronin Chairman of Killarney & District Motor Club proudly welcomed the deal, he said: we as a club are delighted to have the commitment, financial support and backing of a global company such as Rentokil Initial. We appreciate Michael O’Mahoney’s vast interest in the sport of rallying and his contribution to numerous club events. The signing of a new three year deal is a real testament to the strength of the rally, the workmanship of the event committee and our Club members. The organising committee has carried out its initial route survey and has promised to offer competitors and fans the best of classic rally stages in the south west. Previous post Jimmy Devane Memorial Autocross 12th Aug 2018 – Report & Pics.